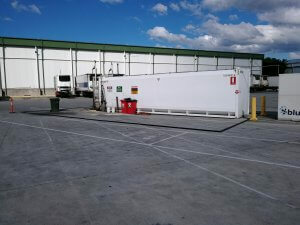 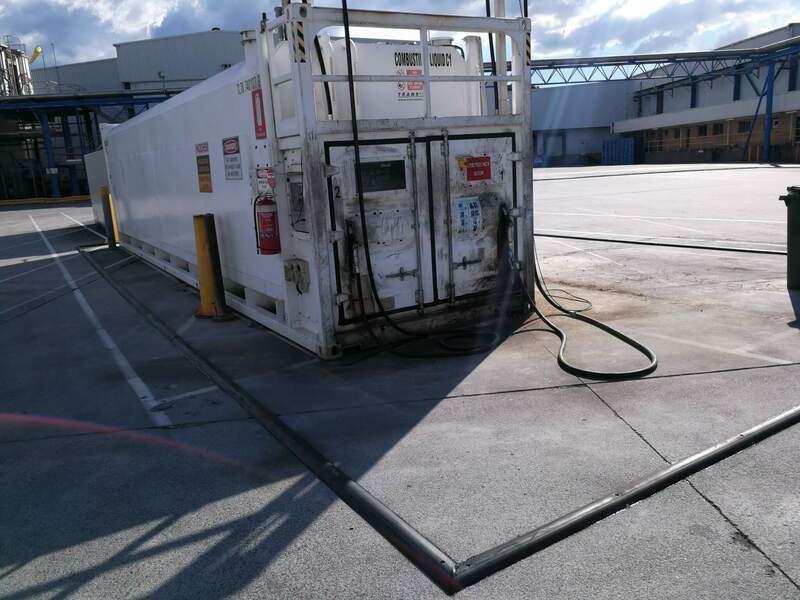 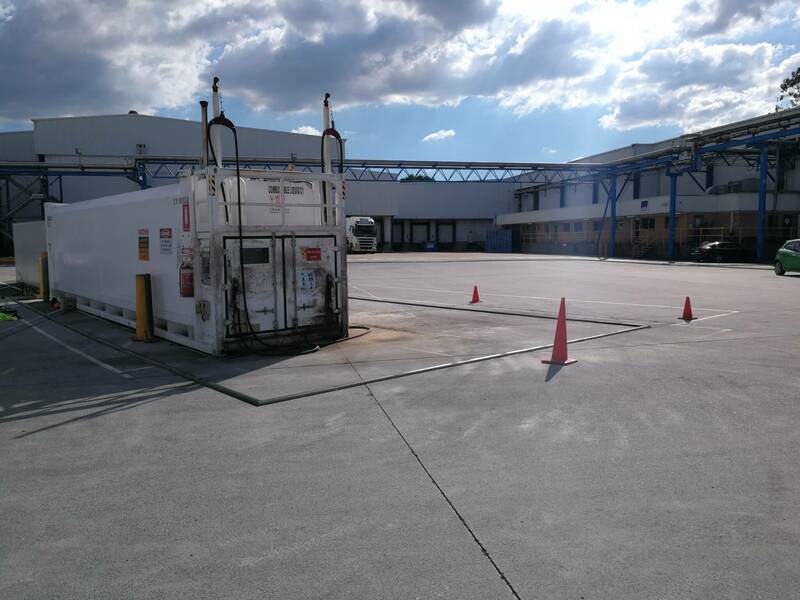 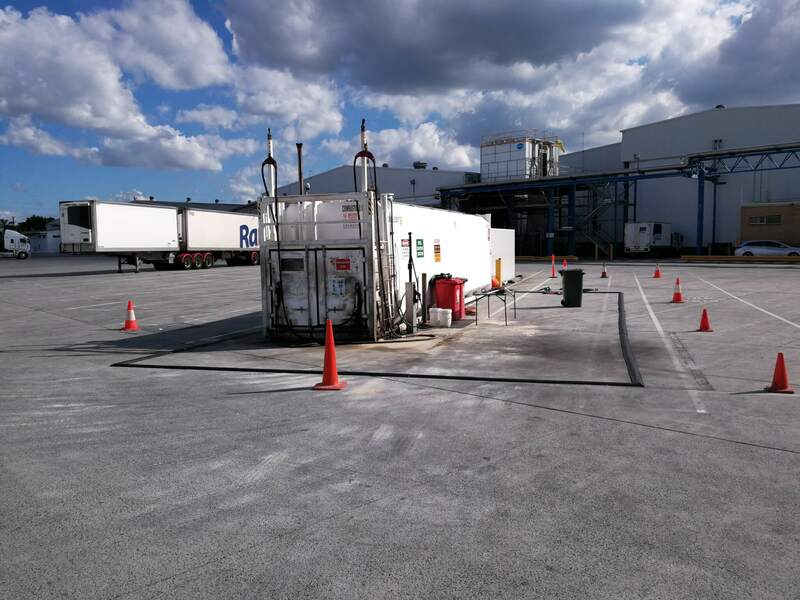 JJ Industries was contracted by South East Queensland Line Marking to consult and design on a bunded containment area to retain any fuel spillage around a heavy vehicle refueling station at Rand Transport. 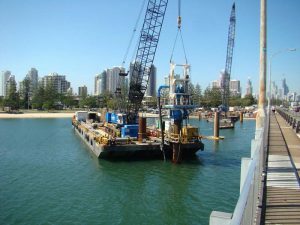 JJ Industries were required to submit all documentation including drawings, SWMS and SDS prior to works and undertake a complete induction and JSAs on the day of install. 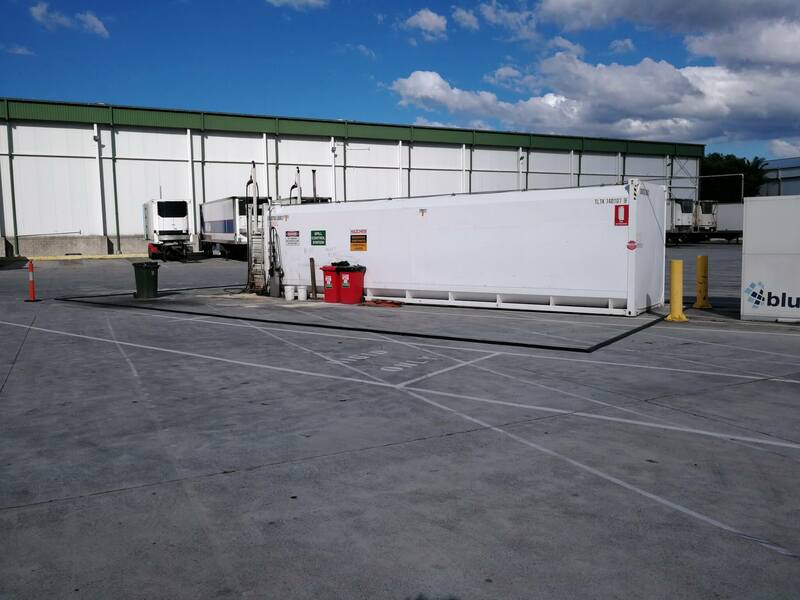 This installation was also time critical as a very small window of opportunity was available to complete works as this was the sole point of refueling for a large fleet of critical freight vehicles. 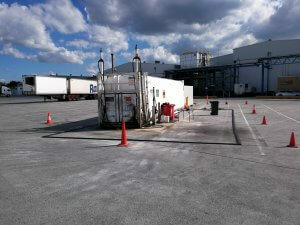 Work was carried out in compliance with site safety management plans, as subcontractor to the head contract. 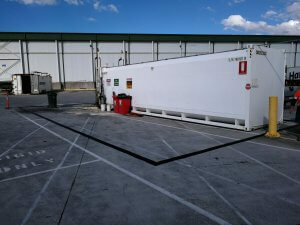 JJ Industries were required to undertake this sensitive project in full view of the public. 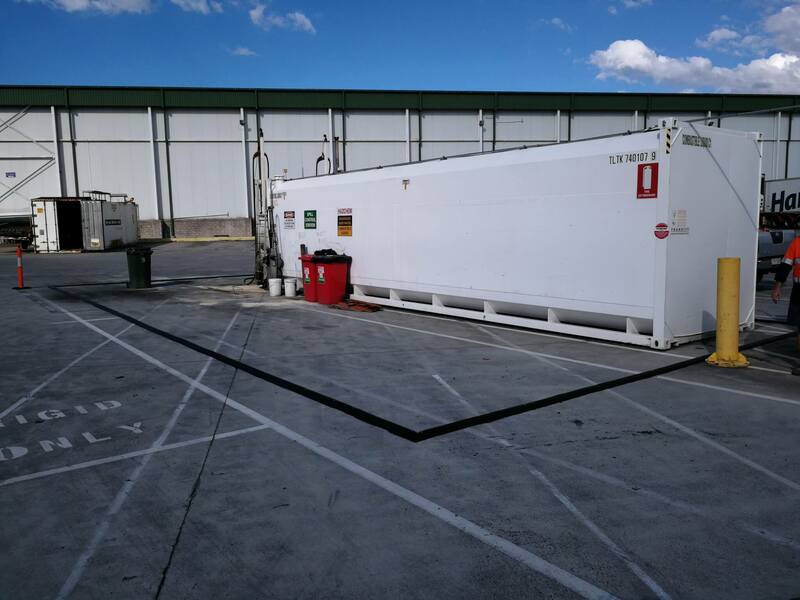 Design and installation was made more complex as existing concrete pads required epoxy treatment to ensure a watertight seal on all bunding. 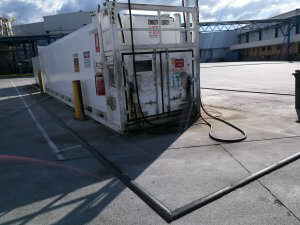 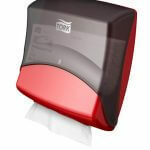 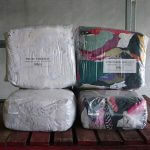 JJ Industries were also required to remove some existing unsatisfactory bunding measures already in place. 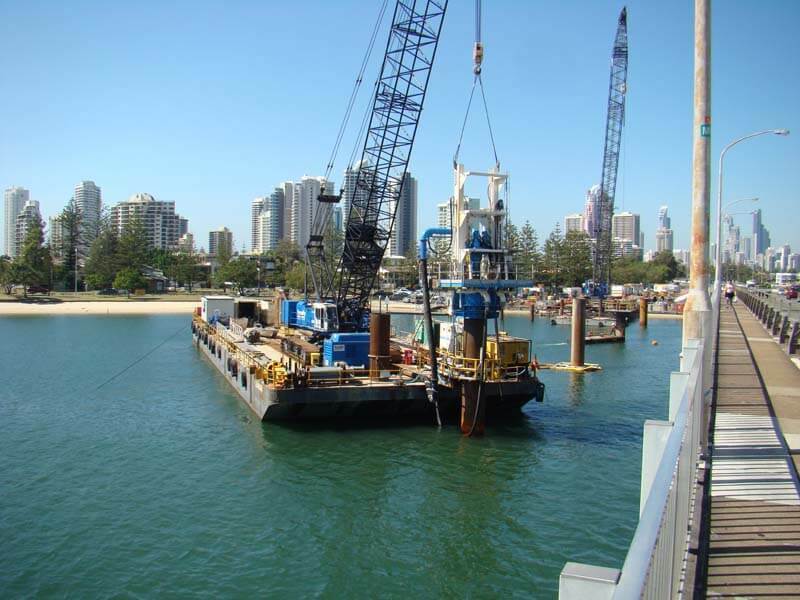 Completed in 5 stages covering design & methodology, supply of goods, installation of section A, leak testing after cure, installation of sediment control devices for ready deployment on stormwater drains, toolbox training of staff and implementation of housekeeping guidelines. Design and manufacture a total of 70m of GG380 rubber floor bunding to create a bunded area around a diesel tank for vehicle refueling. 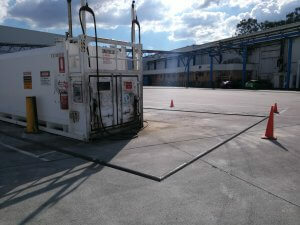 Containment of partial spills or overflow from heavy vehicle tanks. 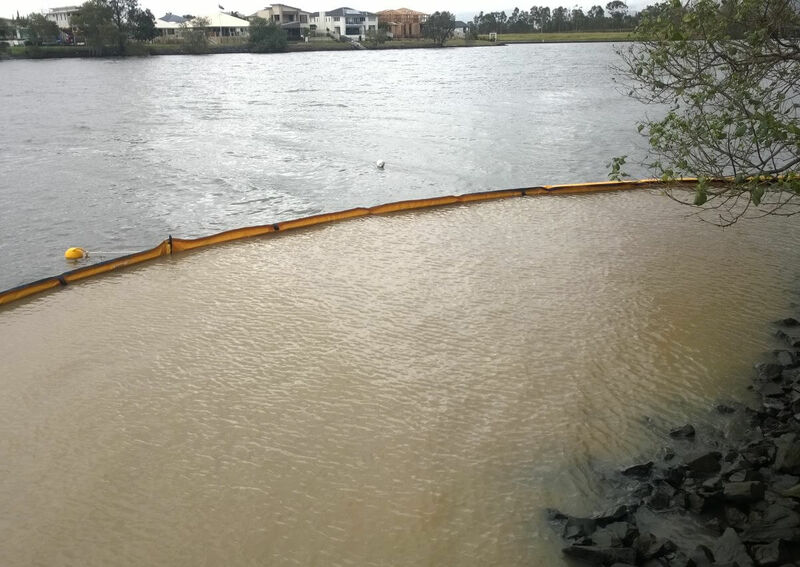 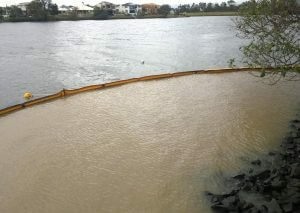 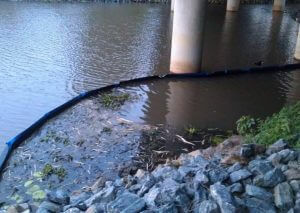 Barrier against the spread of hydrocarbon contaminants reaching Storm Water. 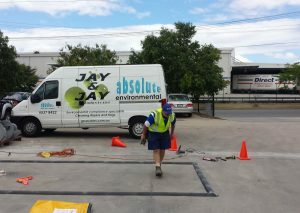 Project coordinators were JJ Industries and South East Queensland Line Marking for Rand Transport.